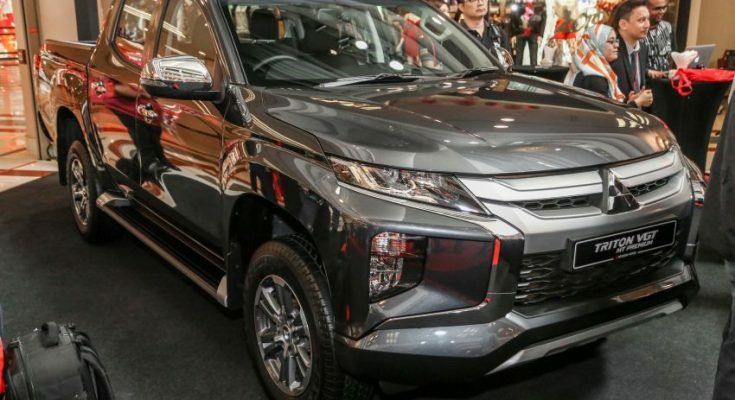 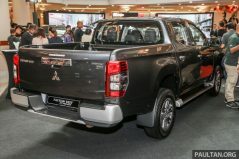 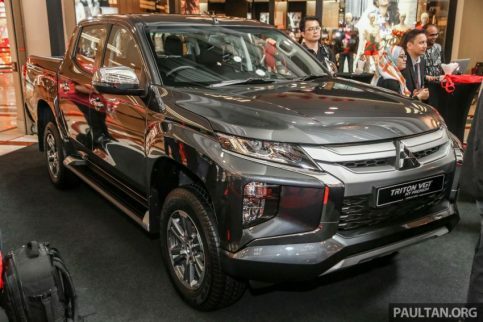 The 2019 Mitsubishi Triton has been officially launched in Malaysia. 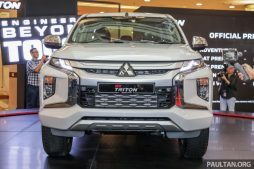 The new Triton was first previewed at the 2018 Kuala Lumpur International Motor Show (KLIMS) in November 2018, shortly after it made its world debut in Thailand. 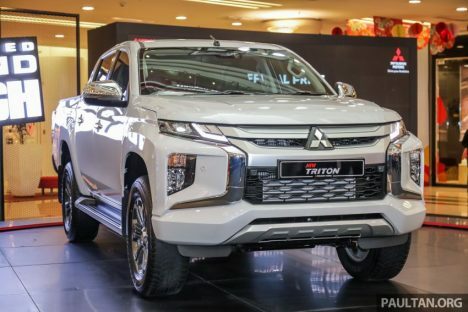 The new 2019 Triton is powered by a 2.4 liter MIVEC turbodiesel producing 180hp and 430 Nm of torque at 2,500 rpm. 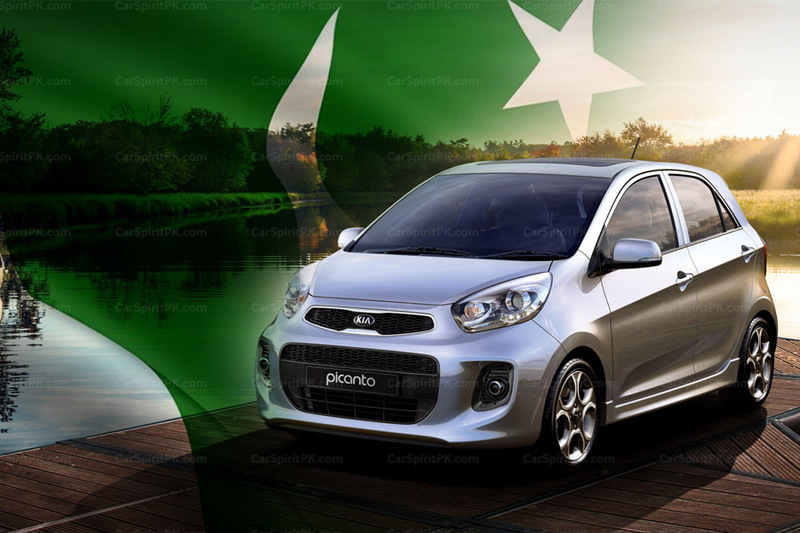 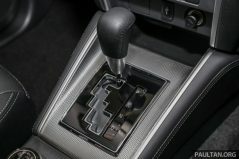 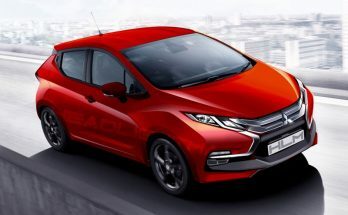 The engine comes mated to a 6-speed manual as well as 6-speed automatic transmission. 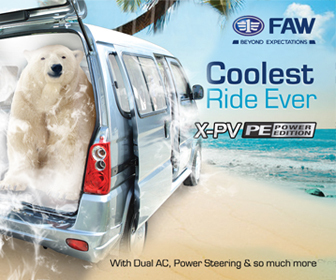 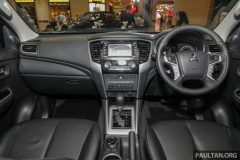 There is also a new Super Select 4WD II system on the flagship Adventure X variant. 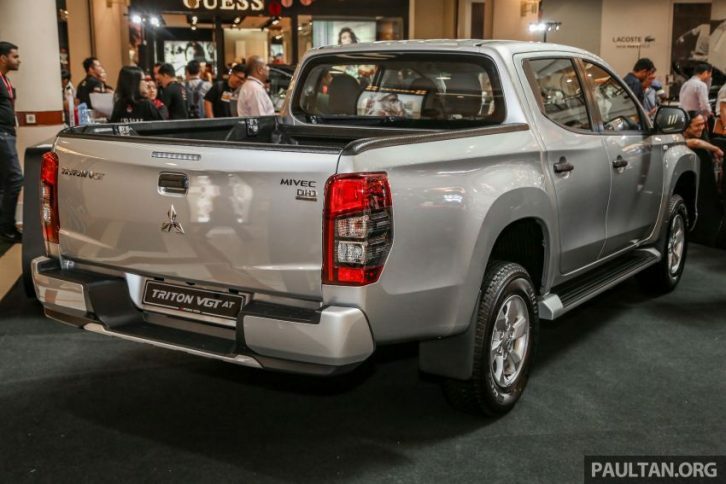 It comes with a new Off-Road Mode which has four presets (gravel, mud, sand, rock). 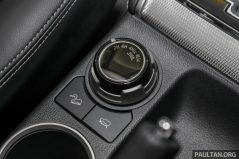 Selecting a mode will see the system optimize engine power, transmission and braking to regulate the amount of wheel slip and maximize off-road performance. 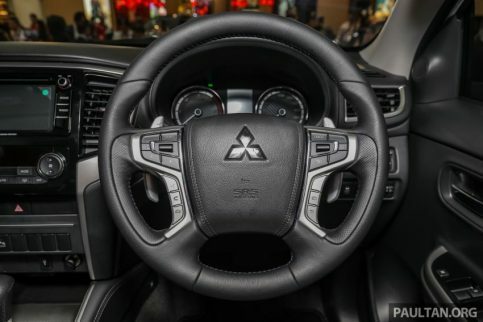 There’s also hill descent control, which frees the driver to focus on steering during steep descents. 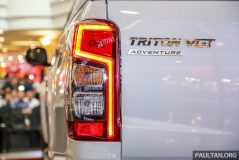 As for safety there are Driver assist features such as Forward Collision Mitigation (FCM), Blind Spot Warning with Lane Change Assist (BSW with LCA), Rear Cross Traffic Alert (RCTA), Ultrasonic Mis-acceleration Mitigation System (UMS), Auto High Beam (AHB) and seven airbags are now available on the Triton Adventure X. 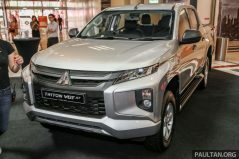 Since the Triton was previewed at the KLIMS in November, Mitsubishi garnered more than 800 bookings and secured a 50-unit fleet deal with the Malaysian fire department. 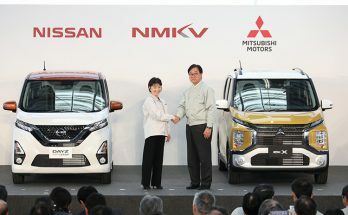 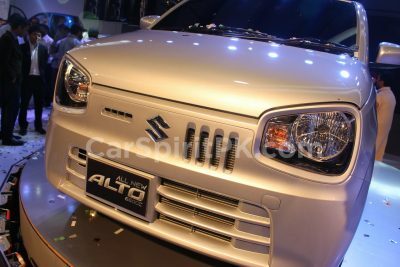 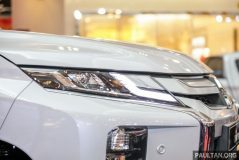 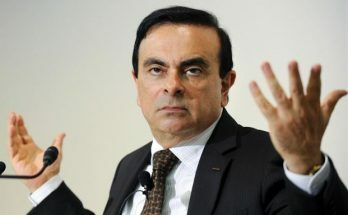 Mitsubishi has set a sales target of 600 units a month, with deliveries to start from February 2019.